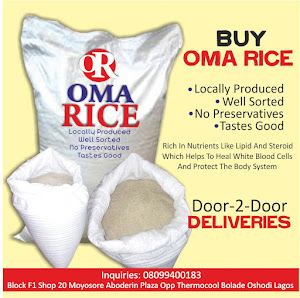 The Cleaner Lagos Initiative (CLI) has restated commitment to a healthier, safer and cleaner Lagos with the session with stakeholders hosted in Ikeja, stressing government determination to promote recycling, reports NaijaAgroNet. This, NaijaAgroNet gathered, was top on the agenda of the stakeholders meet, where CLI explained the plans and technicalities outlined by the Lagos State Government to effectively manage solid waste in the state, private enterprises and environmentalists in attendance. Speaking at the forum, the Managing Director of SWM Solutions, Mrs. Tolagbe Martins told participants that the interactive forum provided an opportunity for CLI to shed light on several issues that were misunderstood by many Lagosians, while it also enabled the stakeholders to understand the practical approach as well as factors they could contribute to the success of the initiative. According to her, the forum helped on explaining the roles played by the Lagos State Waste Management Authority (LAWMA), newly established agency; Public Utility Monitoring Assurance Unit (PUMAU) and that of Visionscape, the Waste Collection Operator assigned by the state to collect residential waste. Further, she said the issue of marine waste, which is also a major concern of the state government is receiving attention as there is strategies for integrating same into the long-term plan. 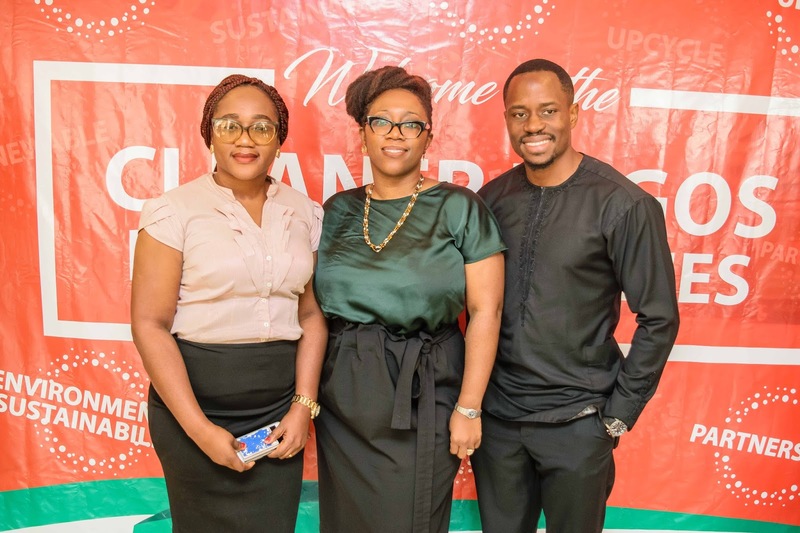 Some of the stakeholders at the session included Olawale Adebiyi, CEO of Wecyclers; Chioma Ukonu, Cofounder/COO, Recycle Points; Felix Abayomi, Founder/CEO, Wildlife Conservation and Protection Initiative; Olayinka Jones, Development Consultant, Community Conservation & Development Initiative (CCDI). Reacting to some queries, by the stakeholders on the immediate action of the government in dealing with heaps of waste dotting different parts of Lagos, Mrs. Martins explained that Visionscape has been carrying out regular deep clean activities across the state in a bid to drastically reduce waste in black spot areas that were dumped indiscriminately around the city, while also ensuring that the waste bins located in areas of the state are promptly emptied. 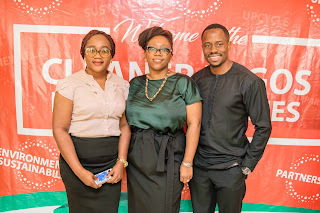 Pix: Mrs. Tolagbe Martins, Managing Director of SWM Solutions (middle); Chioma Ukonu, Co-founder/COO of RecyclePoints (left) and Olawale Adebiyi, CEO of Wecyclers (right) at the Breakfast Meeting organized by Cleaner Lagos Initiative (CLI) to familiarize environmentalists with the waste management agenda of Lagos State Government, held on Tuesday in Ikeja, Lagos.